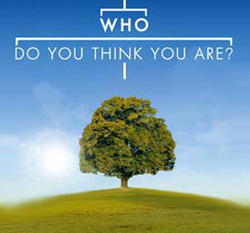 The FGS 2011 conference is privileged to have in its presence three professional genealogists who have recently appeared on the hit NBC/Universal television show Who Do You Think You Are? Each of these experts has been involved in the research aspect of a celebrity’s family history as well as presenting findings to the celebrity on-screen during one or more episodes of the show. We invite you to visit the Media Hub in the Exhibit Hall to arrange an interview with any of these noted genealogists. Kathleen Brandt, professional genealogist, a3Genealogy (http://a3genealogy.blogspot.com). Appeared on Tim McGraw episode (Season 2) and worked on an upcoming Season 3 episode (2012). Kathleen Brandt is a Professional International Genealogist and Consultant and is a published freelance writer for genealogy magazines and columns. She is also the author of the a3Genealogy educational and skill building blog that explores various cultural and ethnic folk life, traditions, history, and genealogy research tips. Utilizing twenty years as an international corporate executive and five years of teaching college level Spanish, French and English writing courses, Kathleen offers workshops and lectures to the genealogy community and is a consultant for various corporate historical, cultural, and genealogy projects. As a multilingual speaker, she translates Spanish, French, and Italian records and has experience researching German, Swedish and Hellenic records. J. Mark Lowe, professional genealogist, KY- TN Research Associates (http://www.kytnresearch.com). Appeared on Lionel Richie episode (Season 2) and provided research for Vanessa Williams and Ashley Judd episodes (Season 2). 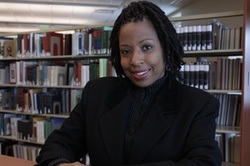 Lowe is a full-time professional genealogist, author and lecturer. While sharing personal experiences that help beginning and experienced researchers gain new skills and insights for research, he specializes in Kentucky and Tennessee resources and researches primarily in original records and manuscripts throughout the Southeast. As a national and regional speaker, he has brought these areas of expertise along with his unique humor and southern style to many diverse audiences. D. Joshua Taylor, professional genealogist, D. Joshua Taylor (http://www.djoshuataylor.com). Appeared on Sarah Jessica Parker episode (Season 1) and Ashley Judd episode (Season 2). D. Joshua Taylor “Josh” is a nationally known and recognized genealogical author, lecturer, and researcher. Joshua is the former Director of Education and Programs at the New England Historic Genealogical Society in Boston, Massachusetts. A frequent speaker at genealogical societies, libraries, and other organizations, his previous speaking engagements include GENTECH, the Federation of Genealogical Societies Annual Conferences, the National Genealogical Society Annual Conference, and the Salt Lake Institute of Genealogy, and RootsTech. He has authored articles in American Ancestors, UGA Crossroads, FGS Forum, Association of Professional Genealogists Quarterly, and New England Ancestors, and was a columnist for Digital Genealogist.